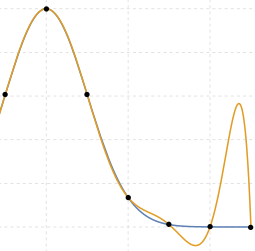 I recently developed interactive applets that demonstrate how Taylor and Maclaurin Series and the Binomial Series approximate a given curve. I wondered about the story behind infinite series. Why were they developed? Who developed them? What problems were they trying to solve? I'm standing 5 m from a wall. I jump half the distance (2.5 m) towards the wall. I halve the distance again (1.25 m) and continue getting closer to the wall by stepping half the remaining distance each time. Do I ever reach the wall? Zeno, the 5th century BCE Greek philosopher, proposed a similar question in his famous Paradoxes. If you keep adding smaller and smaller fractions following this pattern, you'll find your answer gets closer and closer to When this happens, we say the infinite series converges to a value (but in many cases series will diverge - just keep getting bigger and bigger). The first known example of an infinite sum was when Greek mathematician Archimedes showed in the 3rd century BCE that the area of a segment of a parabola is 4/3 the area of a triangle with the same base. The notation he used was different, of course, and some of the approach was more geometric than algebraic, but his approach of summing infinitely small quantities was quite remarkable for the time. Throughout history, mathematicians tried to find reliable ways to calculate the area and volume of objects that didn't have straight or regular sides, and to precisely describe non-constant motion (displacement, velocity, acceleration). Another important issue faced by scientists of the 17th and 18th centuries was to improve navigation of ships at sea. 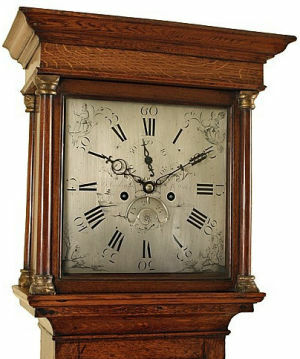 Captains needed to know exactly where they were on the Earth, and better clocks, better understanding of longitude and latitude, and the movement of stars and planets were all achieved through studies of motion and the development of calculus. Such power series, along with calculus, were major advances in mathematics and science at the turn of the 18th century. The approach enabled term-by-term integration. For example, in the two cases above, if we don't know how to integrate the left hand side, we can easily integrate each term on the right hand side to obtain a good approximation. 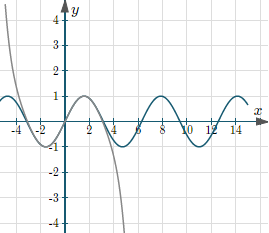 Power series also helped establish sine, cosine, log, etc as "functions". Most importantly, for Newton (and his contemporaries, like Leibniz) power series were inextricably linked with calculus. My summary, What did Newton originally say about integration? Scottish mathematician Colin Maclaurin (who began university at age 11), in A Treatise of Fluxions published in 1742, explored a special case of Taylor's series, expanded around x = 0. This is now known as Maclaurin's Series. In Leonhard Euler's Introductio in analysin infinitorum (Introduction to Analysis of the Infinite, 1748), we see further development of power series into the definition of a function. Joseph-Loius Lagrange, in his Theorie des fonctions analytiques (1797) attempted to liberate calculus from the notion of infinitely small quantities, the basis of Newton and Lebniz' ideas. Lagrange worked on solving differential equations, a branch of calculus. He developed a new approach to interpolation and Taylor series, where the aim is to find a polynomial passing through a given set of points.